Teacher Recruitment , Teaching in Hertfordshire UK - Teaching Jobs for Teachers, Headteachers. 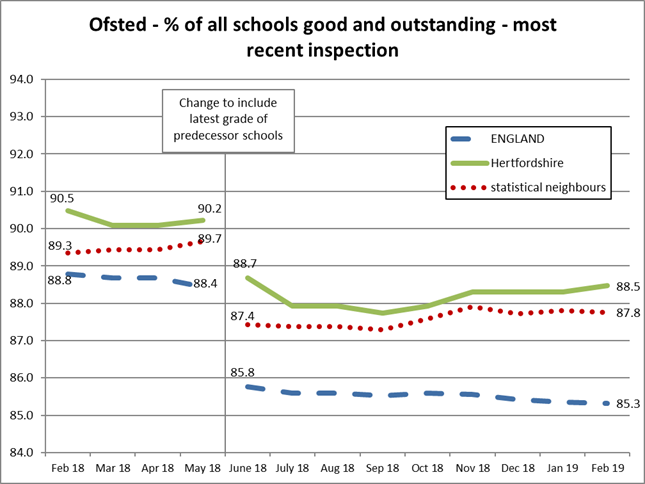 This section includes information about education standards in Hertfordshire, our schools and other education settings, Herts for Learning (the UK’s largest schools’ company), and working and living in Hertfordshire. Hertfordshire is one of the most highly performing education authorities in England. Schools consistently achieve standards well above national averages. The county is committed to providing high-quality education and support for all children in every school and setting from early years, through to further education. Herts for Learning (HfL) is the UK’s largest Schools’ Company. Originally developed from Hertfordshire Local Authority’s education services, HfL launched in September 2013 and is 80% owned by schools in Hertfordshire and 20% owned by Hertfordshire County Council. 98.9% of schools in Hertfordshire now own a share in the company. HfL is a financially sustainable, not for profit business, dedicated to raising standards in teaching and reinvesting in children. HfL provides flexible, high- quality teaching, learning, leadership and business support to schools and education settings in Hertfordshire and beyond. It has a strong track record of supporting schools in making rapid required improvements in the journey to good or better.